This 2002 animated sci-fi/fantasy adventure film from Disney is loosely based on the Robert Louis Stevenson novel Treasure Island, but how well the Stevenson’s seafaring adventure translates as an alien populated space adventure is debatable. While Disney’s experiments with mixed hand-drawn and CG animation seem to work rather well for the most part, the story itself feels flawed, like it is trying too hard to be hip and to compete with what was already at the time the juggernaut that was (and is) Pixar. 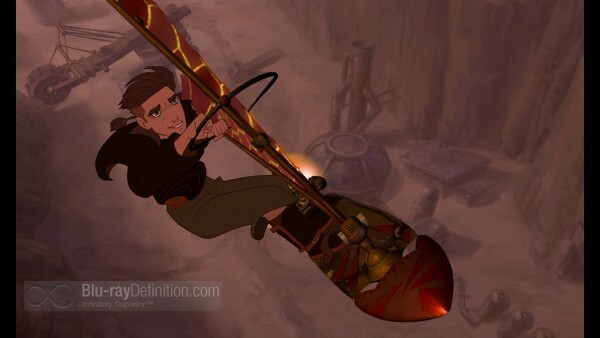 Although Disney dropped their fairytale worlds and musicals, the storytelling certainly suffered, and instead we have something that seemed like a misguided attempt at picking up the Gen-Y audience with appeals to skateboarders, rebellious teens, and the iPod crowd. 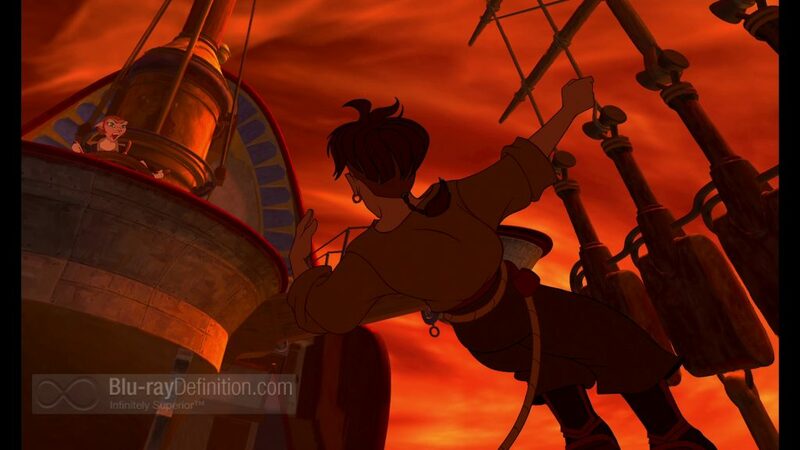 Set in outer space, Treasure Planet follows the wayward young Jim Hawkins (Joseph Gordon-Levitt) who sets out on an adventure to find the legendary Treasure Planet, where a vast multi-planet stolen treasure is supposed to be hidden, after his mother’s (Laurie Metcalf) tavern is burnt down by pirates. 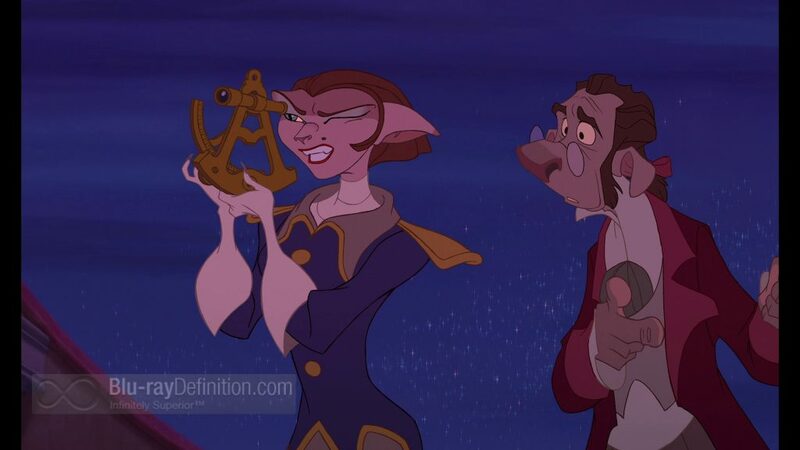 Determined to prove to her that he can make something of his life rather than just be a misfit (up until this point, Jim has been in trouble with law on numerous occasions) he sets out with frequent tavern customer, Dr. Doppler (David Hyde Pierce) on a hired solar ship (they fly with solar sails, rather than sail the seas) and carry along a map leading them to Treasure Planet left behind by a sailor who crash landed outside his mother’s tavern. 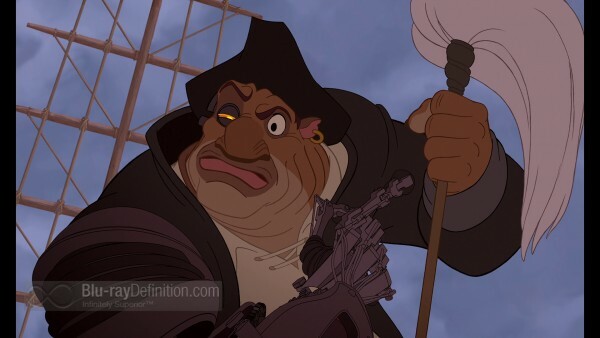 Unbeknownst to Jim, Dr. Doppler, and the captain they hired, Captain Amelia (Emma Thompson), they have a crew full of pirates looking to mutiny, take over their ship and steal their treasure as soon as they find it. 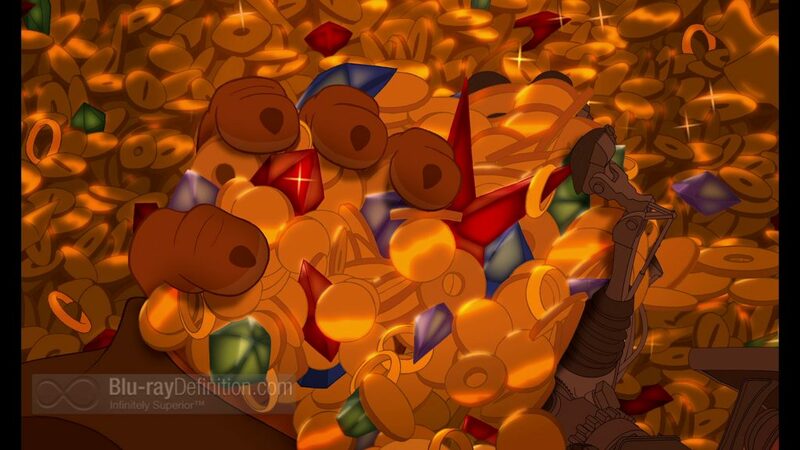 But matters are complicated by Jim’s growing closeness with the pirates’ captain, John Silver (Brian Murray), who takes Jim on as his apprentice and teaches him the ropes. Jim, whose father left him behind when he was young, begins to see Silver as a father figure as well. 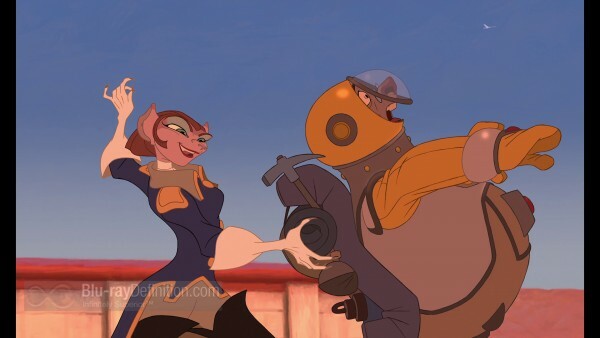 Truth be told, there are some strong points to Treasure Planet, such as the obviously wonderful animation and the great action sequences, but translating Stevenson’s story into space leaves too many holes. 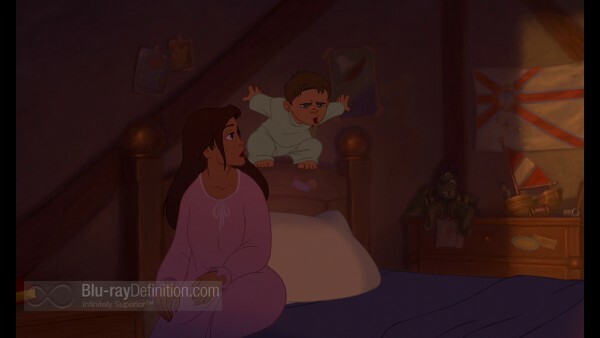 Number one, I have to ask why it is that Jim and his mother appear to be the only humans (non-aliens) in this whole story? Number two, this solar surfing (read: skateboarding) thing is ridiculous; as if every kid who skateboards or rollerblades is rebellious or comes from a dysfunctional home. Number three, the soundtrack – yeah the John Rzeznik (Goo Goo Dolls) number feels like they are trying too hard to capture the “alternative” crowd. It’s difficult to argue against Disney’s skill at bringing animation to Blu-ray in the highest possible quality. 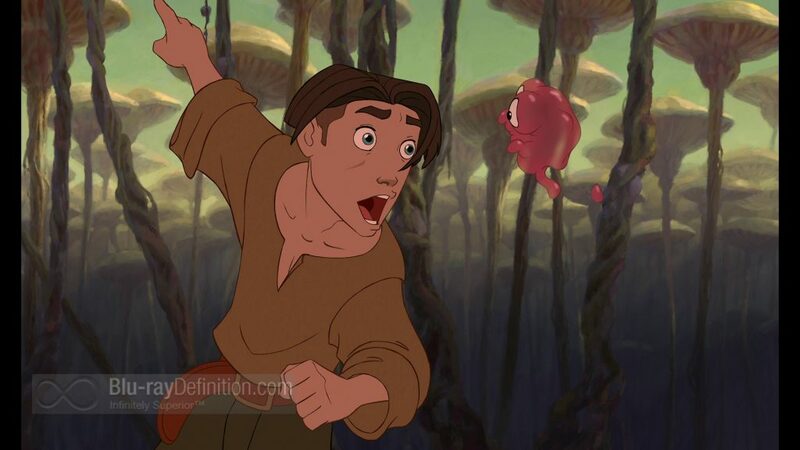 Treasure Planet is no exception here. The 1.66:1 AVC/MPEG-4 encodement looks gorgeous at all times with crisp line art, splendid color reproduction and no sign of any processing or compression anomalies. The English DTS-HD Master Audio 5.1 (48kHz/24-bit) soundtrack for Treasure Planet is equally impressive as the video quality. The surround channels are used to full effect, bringing in an abundant amount of ambience as well as discrete activity right from the opening scenes. 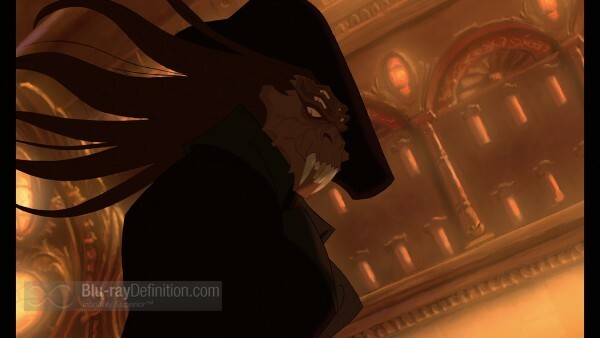 So, throughout the movie, sounds are panned through the room effectively, and with great balance so as not to become too distracting or to drown out the cleanly recorded and mixed dialogue. Low frequencies are robust while the highs are relaxed, open and natural. There’s a large amount of extras offered up on here that dive into nearly every aspect of this film’s production, however, there doesn’t appear to be anything new to this particular release included and everything is in standard definition. Disney’s Animation Magic: Hosted by Roy Disney (1.33:1; SD; 00:14:18) – Have a peek behind the scenes at the Disney animators as they merge traditional animation techniques with new cutting edge CG to create Treasure Planet. 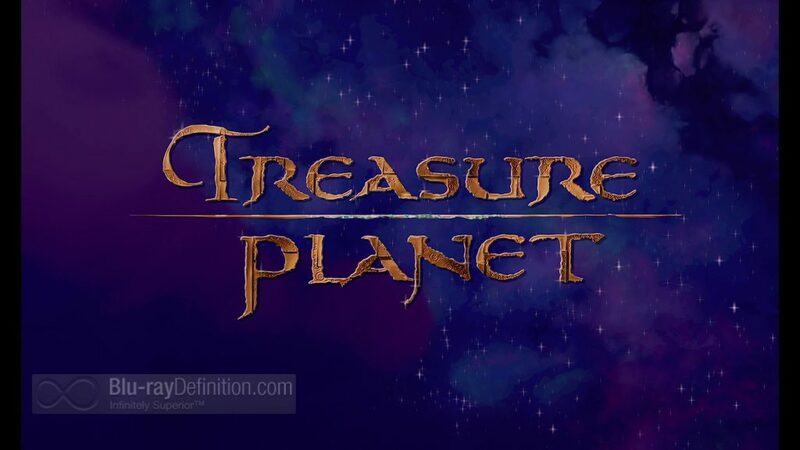 Treasure Island Trailer (1.33:1; SD; 00:02:08) – Original classic Disney live-action Treasure Island theatrical trailer. 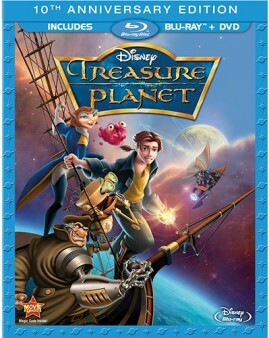 DVD – A standard DVD of the release is also included. With hand-drawn animated films that missed the mark like Treasure Island, there really is no wonder that Disney and other studios found it so easy to believe that no one wanted to see them anymore and all they needed to do was make everything CG-animated and they’d be rescued. 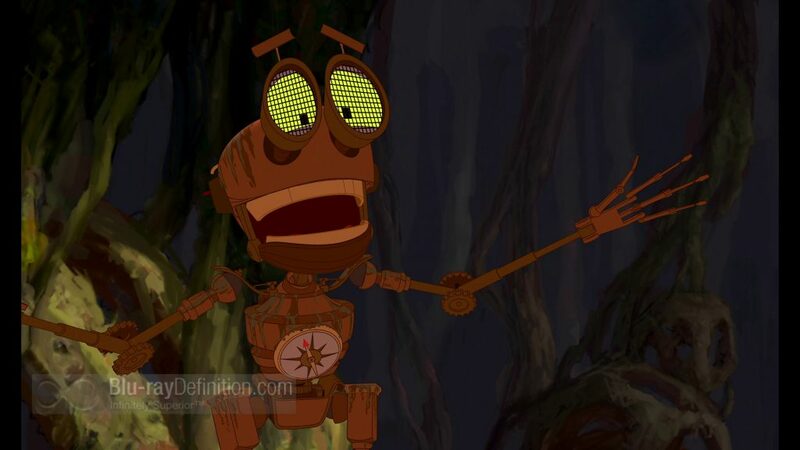 Well, with the glut of bad CG-animated films that have been released, we see how well that philosophy worked out, didn’t we? 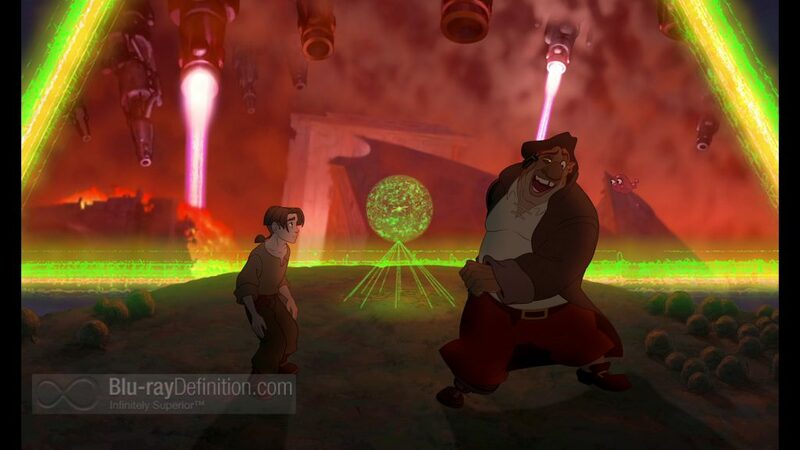 Treasure Planet still has its merits, it’s just rather uneven overall.